In the modern workplace, an organization’s most important assets are its people. The knowledge, skills and expertise found throughout your carefully recruited teams are tantamount to individual and collective success. All too often, however, this specialized knowledge is obfuscated by physical and organizational barriers. People know what information they need, but are unable to track down the answers they’re looking for. The popular adage “It’s not what you know, it’s who you know” reminds us that the best-connected employees get the most done. That’s where Office 365 can help. As Microsoft works to reinvent productivity for the modern workplace, their goal is to put people at the center of the connected suite experience. When you’re able to tap into the hidden knowledge throughout your organization and leverage your talent pool, you’re able to achieve more. 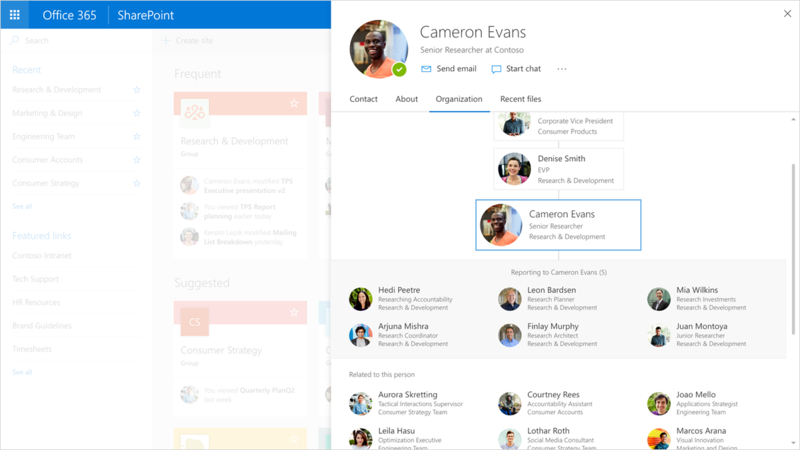 Starting today, Microsoft is rolling out an extended profile card experience across Office 365 to enhance the way you collaborate with colleagues and external contacts. They’ve made several big improvements that improve on the existing experience across three pillars to create an intelligent, holistic and integrated profile experience. Traditionally, employees looking for specific information had to manually connect the dots between people and units of knowledge. By tapping into the Office 365 graph and machine learning, the new Office 365 profile card can identify information relevant to you based on the person you’re looking up. This can help you quickly look up documents that have been shared with you, independent of how they were sent. Microsoft is also working to help employees connect with people across the organization that they don’t traditionally interact with. The new Organization view shows a complete picture of the highlighted user’s position in the company, including their direct reports and co-workers. 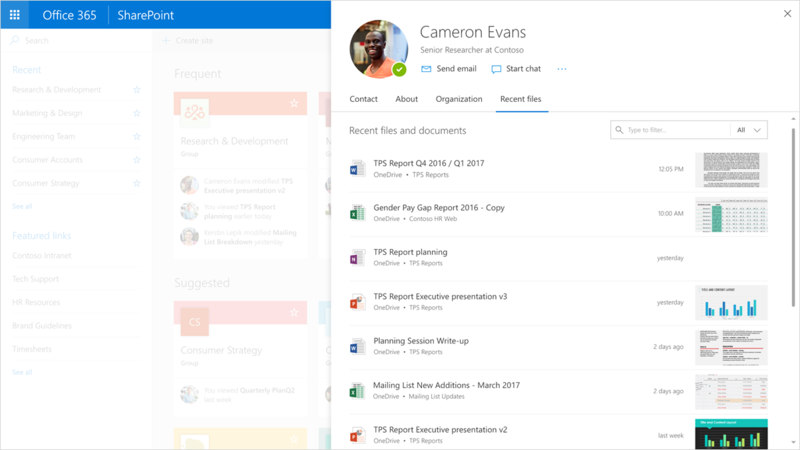 Office 365 will also surface other people relevant to the person you are looking up based on their working habits and communication. CLICK HERE to read the full article and learn how Microsoft has improved user profiles in Office 365!